Like coconut water, but even more tasty. 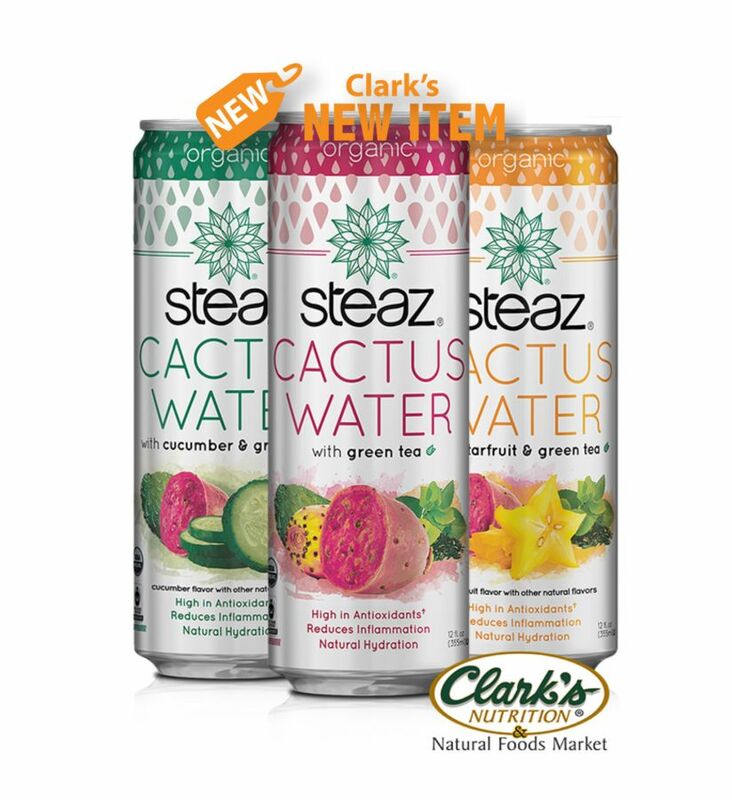 Introducing Steaz Cactus Waters in 3 amazing blends: Green Tea, Cucumber with Green Tea and Starfruit with Green Tea. Starting with the prickly pear - the berry-like super fruit of the cactus. Then, they blend it with their organic, Fair Trade Certified green tea and other natural ingredients for a light, refreshing flavor. Not only does it taste great, it provides your body with natural hydration and other incredible health benefits. These yummy drinks can now be found at a Clark's near you.